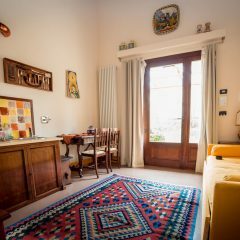 Mini | L'Olmo Country house in the heart of Umbria. An exclusive experience in Umbria. 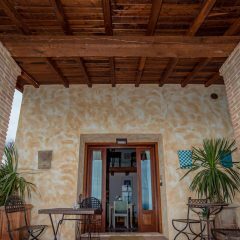 The apartments have been created from an original transformation of the old barn: a wise renovation that converted it in 4 apartments: 2 lofts (a unique environment on two levels) and 2 mini-flats on one level (a bedroom and a living room). 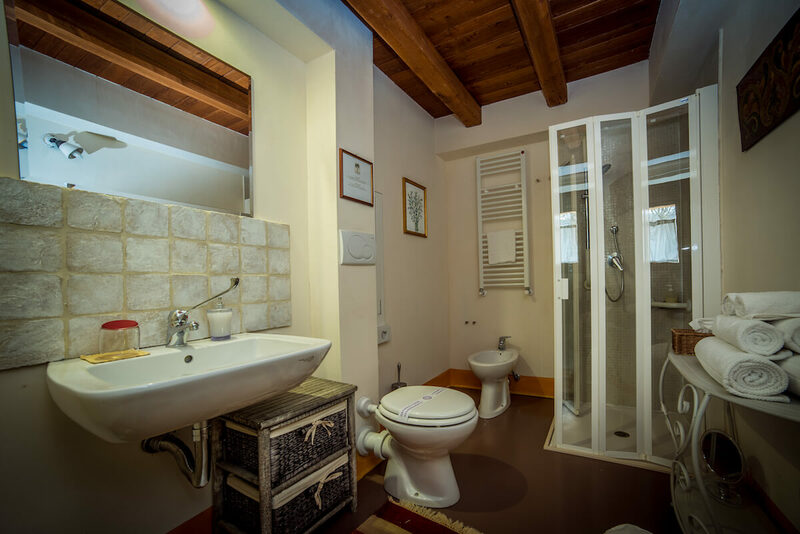 The location of the house is very scenic and overlooking the Assisi Valley, the swimming pool, the park and the horse paddocks. The view down to the Valley goes to the Basilica of Santa Maria degli Angeli then climbs to Assisi and the unique Mount Subasio. On the left Bettona, Torgiano and Perugia; on the right Spello, Foligno and Montefalco, behind us the woody Martani Hills, Spoleto, Todi and Deruta. The premises are equipped with fully furnished kitchenetts, satellite television and DVD, free WI-FI, air conditioned and ceiling fans. The towels and sheets are changed every 7 days stay. If you think that the exchange is not necessary let us know: we will save water and energy. The apartments are equipped with hair dryers. Tap water is drinkable and of good quality. 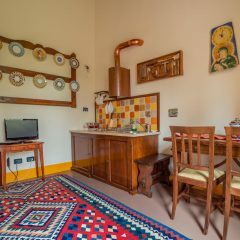 Breakfast is not served since the apartments, furnished with a kitchenette, are completely autonomous and independent. Upon arrival, guests will find a welcoming basket, filled with local products, that covers breakfast for one or two days. 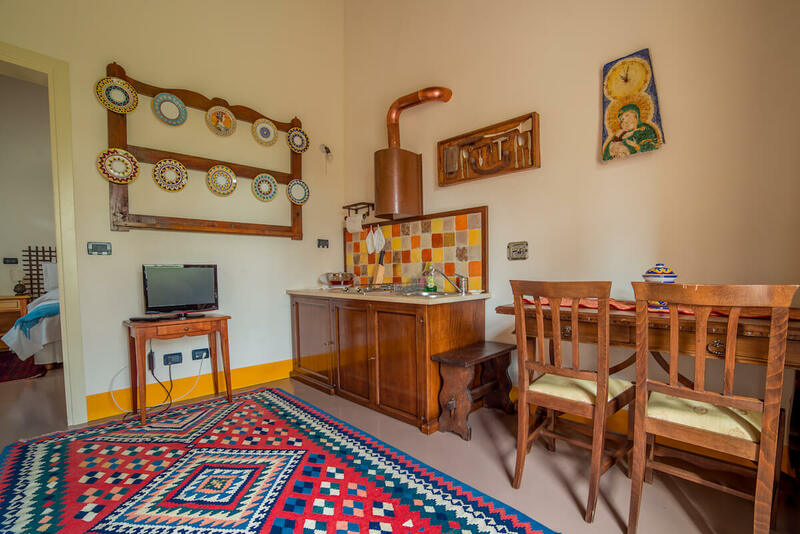 There is no restaurant: a well thought out choice so that our guests can organize a varied stay even in the satisfaction of taste, experiencing the different restaurants and trattorias of the area at which we will refer them competently. Mini: prices for 2 guests (1 double-bed). Extra-beds (2 single sofa-beds) for 2 more guests are paid apart. Kids less than 6 yrs old do not pay for the extra-bed. Extra-cot is paid apart. This apartment is suitable for the disabled. (Christmas and New Year holidays: 100,00 euros/night). Prices include our welcome basket with local produce for breakfast. Sofa bed : + 10,00 euro/night/extra bed. 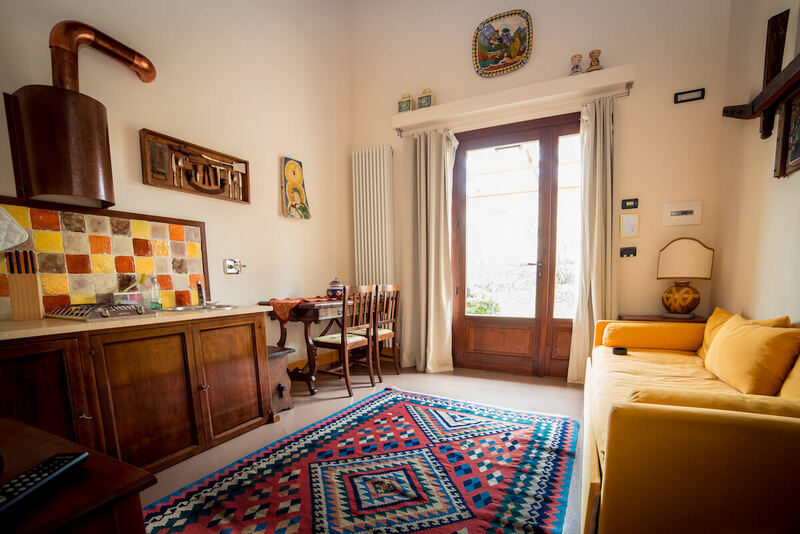 Copyright © 2019 L'Olmo Country house in the heart of Umbria.. Designed by Lorenzo Cioccoloni with Virtue Theme.